Our parents used to advise us to mix with the right friends. Good friends will lead you to do well and lazy friends might slow you down. 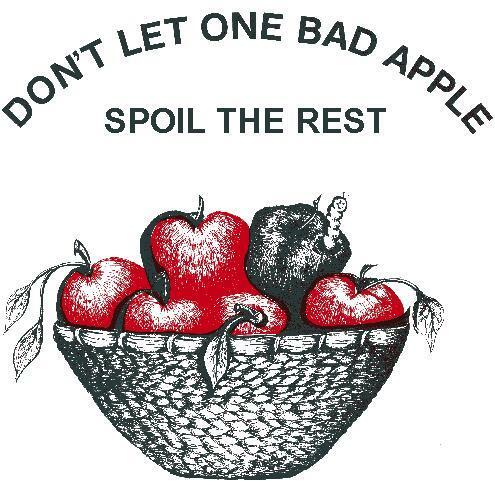 In simple proverb, it said... "One rotten (or bad) apple spoils the barrel." In selling, it's the same. Mix with the successful sales teams, cause success breads success. Secondly learn to prospect potential good clients. Good clients are those who appreciate your values, willing to listen to your suggestions & advices, reasonable people, understanding & open minded, and most important of all... have the potential to do well. These classes of good clients are usually under the top 10% of the entire client's base. For these special clients, I will spend most of the time with them. Periodically I will drop by to their offices, to listen and to understand them more. I also consider them as my circles of influence, cause they would lead me to further sales else where. However when I happened to prospect those unreliable, unfriendly and demanding customers, I would never make them to my clients. As friends yes but never, I repeat never will I be their sales agent for I know they would make life miserable for me later. 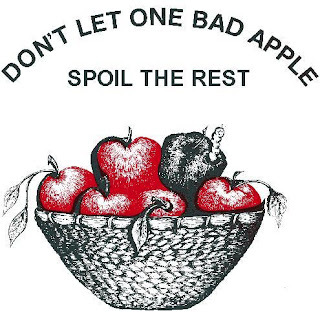 I have to accept this proverb in my business to.. "One rotten (or bad) apple spoils the barrel."